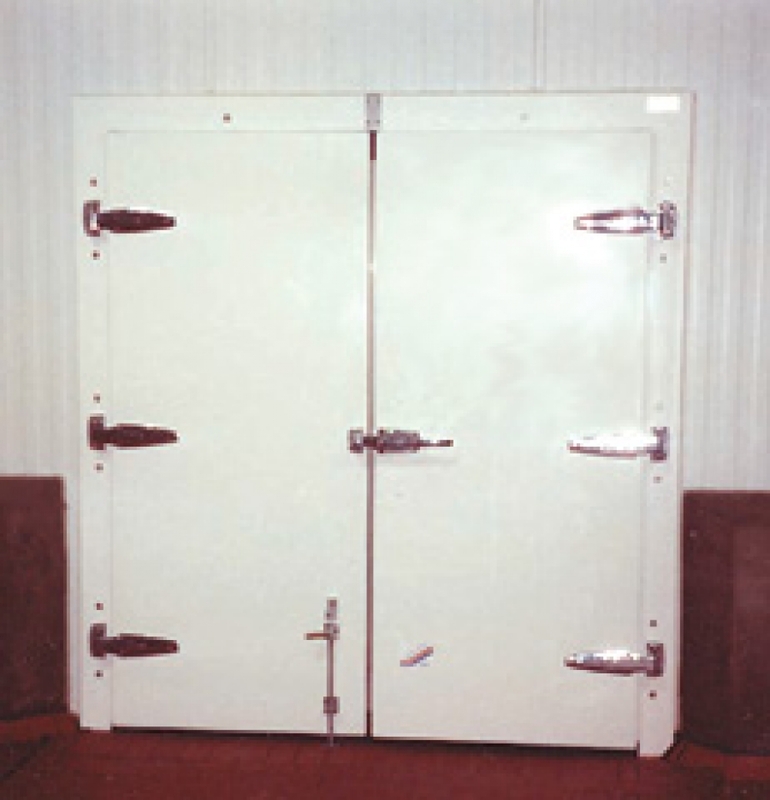 Infitting Double White Stucco metal Cooler or Freezer Door | Dock Door Systems Inc.
Panel with pour-type polyurethane insulated core and a 24 gauge white stucco-embossed finish. Available in 20 gauge galvanized steel, stainless steel, and other colored metals. U.S.D.A. approved. Heavy-duty cam lift hinges, lockable latch, strike an inside release. R33 or R50. "K" factor of .12 at 75°F. Galvanized or stainless steel kickplates (16 or 20 gauge) for back and front of door panels, frame and/or jamb extensions and trim. 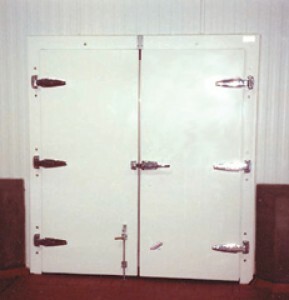 Flat kickplates only on door panel, wraparound available on frame.